In April, Atlanta Ballet pays homage to three of the most inventive choreographers of the 20th and 21st centuries with a modern masters program. Atlanta will fall in love with Yuri Possokhov’s sensational Firebird with its vivacious whimsy and striking staging. The neoclassical splendor of George Balanchine’s Allegro Brillante and the passionate, intimate physicality of Jiří Kylián’s Petite Mort round out the program, demonstrating the awe-inspiring range of Atlanta Ballet’s dancers. 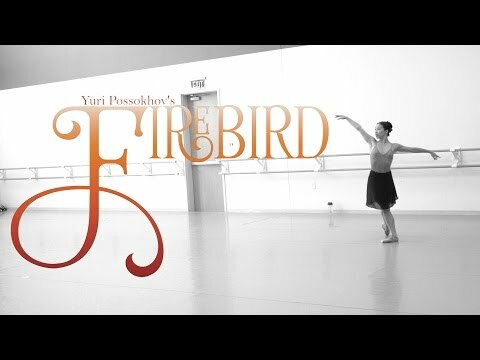 Company dancer Alessa Rogers chronicles the process of bringing Firebird to the stage - from auditions to performance. Beatrice Jona Affron was born and raised in New York City. She joined Pennsylvania Ballet in 1993 as the assistant conductor and was promoted to music director and conductor in 1997. Photo courtesy of Pro Arte Chamber Orchestra of Boston (www.bu.edu/proarte). A graduate of Yale University, Beatrice studied conducting with Robert Spano and at New England Conservatory. At Pennsylvania Ballet, Beatrice has conducted many Balanchine ballets, contemporary works, and full-length story ballets. In 2004, she conducted the world premiere of Christopher Wheeldon’s Swan Lake. Outside of dance, Beatrice is heard in a large and varied repertoire that encompasses works from Handel to Donizetti to Philip Glass. In 2002, she received international attention when she led the world premiere performances of Philip Glass and Mary Zimmerman’s Galileo Galilei at Chicago’s Goodman Theater and subsequently on a tour to London’s Barbican Theatre. In 2005, Beatrice made her debut with the Glimmerglass Opera conducting Donizetti’s Lucie de Lammermoor. Other guest conducting appearances include Opera Theatre St. Louis, the Pro Arte Chamber Orchestra, and New England Conservatory. This is Beatrice’s fourth appearance with Atlanta Ballet.